Superb Week for Sport at NHEHS! 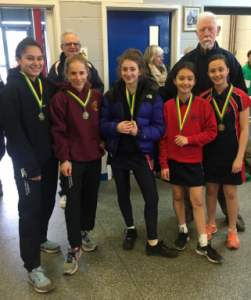 U12 Netball Team – Middlesex County Champions (out of 16 schools). 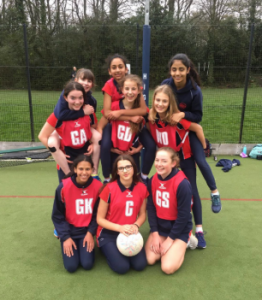 U13 Netball Team – joint 5th out of 16 teams in Middlesex County Championships (just missing out on Semi-Finals). 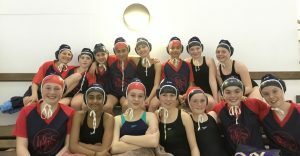 U13 Waterpolo Team – 2nd at the Regional Qualifiers – through to National Finals in April. 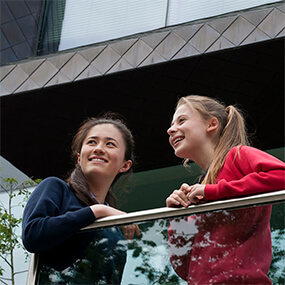 Jasmine Palmer – 25th out of 341 runners at the English Schools Cross Country & she is a year young for her age group! Ealing Cross Country Relays Champions! We lost this time last year, so it was great to regain the trophy! 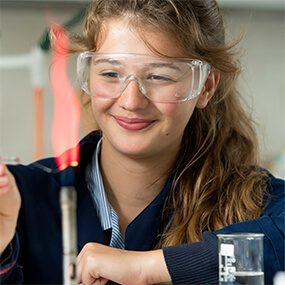 Well done Nicola, Rosie, Eva-Marie, Jasmine and Cameron! A huge well done to our Year 10 Jasmine who finished in 25th place in the School Athletics Cross Country Nationals (Intermediate Girls) out 341 of the best in the country! She was the first intermediate girl back for Middlesex and achieved 25th place running a year early for her age group! Well done, Jasmine! 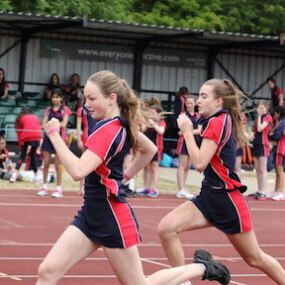 On Wednesday 20th March we took 4 teams to the Ealing Schools Cross Country Relays. Our A team consisting of Nicola, Rosie, Eva-Marie, Jasmine and Cameron came in 1st place. Regaining our title as Ealing Schools Relays Champion! Our other three teams came in 4th, 5th & 6th of 10 teams who were competing against other schools’ A teams! 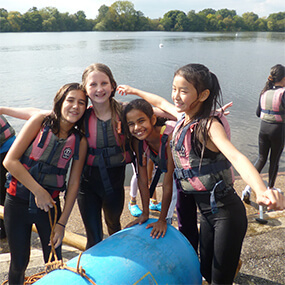 Nicola, Jasmine and Cameron also achieved the fastest times for their age category. A huge well done to the whole cross country team who have done incredibly well this season. Our First XI played out a goalless draw home to UCS on 20th March in a friendly. Matches this week included a narrow 0-1 defeat for our U12A to local rivals St Augustine’s, a 2-5 loss for our U13A team 2-5 to Godolphin & Latymer, but an 8-1 win for our U12Bs away at St Augustine’s and a 2-0 victory for our U14As vs Highate (home). 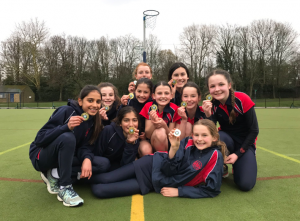 Our U12A Netball Team are Middlesex County Champions! Congratulations! Read the full report here. Our U13A Netball Team finished 5th at the Middlesex County Championships, just missing out on the Semi-Finals. Well done! Full report here. On March 21st, it was great to see our SIX U13 teams travelling to West London to play at Latymer Upper School in friendly matches. The NHEHS U13 teams came away undefeated in a series of very closely contested and high scoring games: Our U13As drew 21 all, U13Bs won 12-6, U13Cs drew 10 all, U13D won 10-9, U13E drew 8-8 and U13F drew 9-9. Well done, everyone! 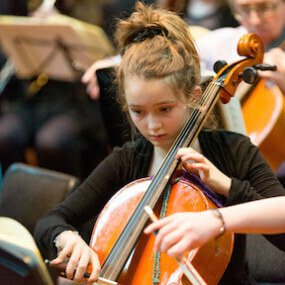 Three days earlier, we had taken on Latymer Upper in three home friendly matches on 18th March. Our U18As were just edged out 26-28, but our U18Bs took the win 24-15. 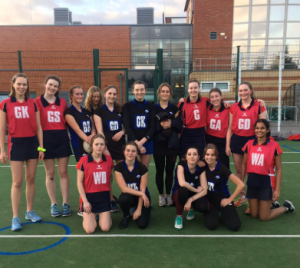 Our U16A also won by an identical score – 24-15! 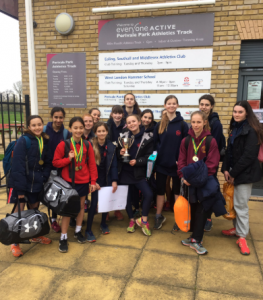 Our U13 Water Polo team travelled to the Regional Qualifiers and took a fantastic second place, meaning they qualified for the National Finals in April!